AIM Technical Solutions Ltd. is an innovative comapny with its head office in Timelkam. 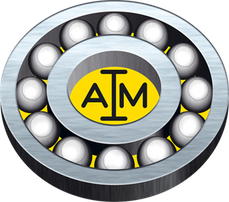 The declared aim of AIM has always been to offer needs-driven solution-oriented products and services, which meet or far exceed our customers’ commercial expectations. Of course, this premise applies to the newly created company AIM Technical Solutions Ltd. in 2009, more than ever. Our past has proven and confirmed that you will reap long-term success only through satisfied customers, SUSTAINABILITY, HONESTY and especially RESISTANCE. Factors that create interpersonal trust and with whom you will associate us, if you worked with us and the company AIM. Our ball bearing should show our team. It can only work perfectly if no ball is missing. So you can build trust and ensure long-term and successful cooperation.